If you're struggling, ask yourself if you're using the right tool for the job. If not, getting your hands on the right tool (even if it's expensive) is often the right move. There's something almost magical about using the right tool for the job. This talent for tools makes us human. Throughout history, if the tools didn't work or if they caused more problems than they solved, then they were discarded. 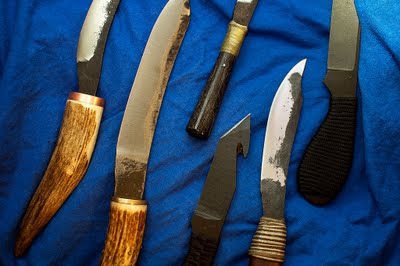 The useful tools helped define cultures, which emerge as a way of life in a place. Containers, fire and cutting edges are the major primitive tools. When combined with a culture and a supportive environment these tools can build a rich civilization. Tools radically expand our capabilities. From hammers to banjos to smartphones, each allows us to do something that we would otherwise be incapable of. But you can't build a house with a banjo. You need the right tool for the job. And some tools are better than others. To get in touch with someone, do you send a letter, email, text, tweet, or call on the phone? Or… do you talk in person, just like in the olden days? Normally, this would be the time for a rant about how we've mostly forgotten how to make tools. That ship has mostly sailed. Thanks to civilization, the tools we use today are pretty complicated. We can't do it alone anymore. Take for example the story of Thomas Thwaites, an artist who took it upon himself to make a toaster from scratch, trying to copy the cheapest toaster he could find. The video is on TED. His story throws into perspective the price, complexity and performance of the tools you can get for less than an hour's work at minimum wage, especially compared to what it would take to build it yourself. There are all sorts of problems and all sorts of tools. The right tool will make your job so much easier. The skill these days is picking the right tool for the job.